Makers at the American Craft Show cover all genres. 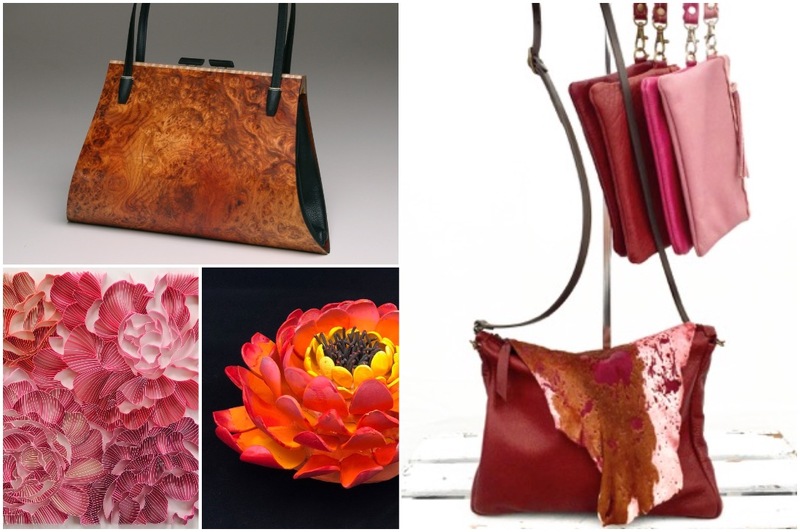 See these creations and more at the St. Paul RiverCentre this April. Check out some Twin Cities style and shopping highlights in the next two weeks. Pamper yourself all afternoon at the Waseca Lakeside Club. Take in a style show by Pippi Lane Boutique, a makeup demo by Cassie’s Classic Cuts, and more, all while enjoying beverages and snacks. While the partnering vendors cover wardrobe, home, health, and more, make sure to learn some chair yoga poses from Awaken Vibrance so you can keep your good mood when you’re back in the work place. March 30 from 1 to 5 p.m. @ Waseca Lakeside Club, 37160 Clear Lake Drive, Waseca, eventbrite.com. Two markets are taking place on March 30—A Grand Makers Market (get the pun with Grand Avenue?) and the fourth annual Lowertown Pop. While the goods at Grand Makers Market are still a bit of a mystery, at Lowertown Pop, you can find men’s luxury grooming products from VIR, Jenson Natural Jewelry, and Carmine Jack Leather Co. March 30 @ Grand/Victoria area and Union Depot. In one building are two vintage markets. Stop by Mercury Mosaics Vintage Market when it opens at 1 p.m., and then when you’re finished, head over to the Tattersall Vintage Market (which begins at 2 p.m.) and sip and shop. Mercury Mosaics features a list of some of their vendors on Facebook, and the 30-plus artisans include Everything Is All Ways, which sells contemporary driftwood jewelry, and upscale Menswear Market. At Tattersall, you can find makers like House of Verna, which curates home goods and creates simple, high-quality clothing staples. March 31 from 1 to 6 p.m., 1620 Central Ave. NE, Suites 125 and 150, Minneapolis. Choose from a few ways to shop at M.M. Fleur, the clothing design company made for the professional woman. Go to their new Minneapolis pop-up for a free one-on-one styling consultation plus complimentary coffee and prosecco; get a curated no-comittment Bento box in the mail; or simply shop independently online or in person. April 2-29 @ Studio 125, 1621 E Hennepin Ave., Minneapolis, mmlafleur.com. Mintahoe Catering & Events, the catering company of venues such as A’bulae, Leopold’s Mississippi Gardens, and the Van Dusen Mansion, now owns its own venue, Inwood Oaks in Oakdale. While the spot used to be the old Prom Center, they’ve stripped away the infamous pink, upgraded everything with the latest lighting and A/V specs, and given the place a contemporary, clean look with just enough timeless details (think chandeliers) for easy elegance but not so many that you can’t project your vision onto the space. The venue has two ballrooms that can be combined into one as well as other smaller rooms.